We have the full spoilers for the October 2018 Lola Beauty Box! The Products: 4-5 full sized haircare, skincare, and makeup products personalized to you. 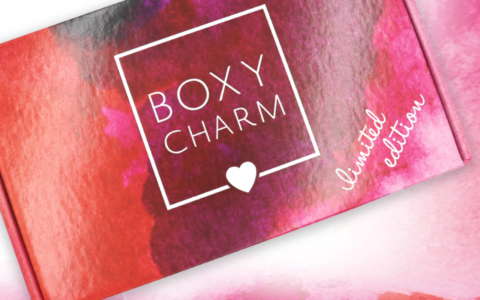 Good to know: Lola Beauty Box offers a loyalty program where you reviews the item you receive each month in exchange for points. You can use these points toward free beauty products or a free beauty box. Check out our reviews of Lola Beauty Box to see what you can expect from this subscription! I have heard horror stories about their customer service! First, my September box arrived completely destroyed, now my October box is covered in blush! I sent them photos of my Septemeber box and they told me they would send me a replacement. Have not received a response since. Did not cancel in time, so they get my money, I get boxes of broken make up! I like some of the brands in this month’s box, but the shades, per usual with this sub, are atrocious – especially the lipstick. I canceled forever ago when they blocked me on Instagram and I would maybe buy a one off box if the brands and shades were amazing, but as much as I love Lunatick labs I’m not buying a box just for 1 lipstick in a shade I’ll never wear. $40 for a quad? Even Viseart who tends to be pricey gives you six for $45 and that packaging looks so cheap! Glad I cancelled last month. $39 for a 4 pan eyeshadow palette? Shampoo without conditioner? I wouldn’t wear that shade of liquid lipstick and I’ve got more blush and sheet masks than I’ll ever need. August and September were great imo, but I wouldn’t use much of this.